Dutch bikes are from Holland, the Netherlands. That’s only half the truth. 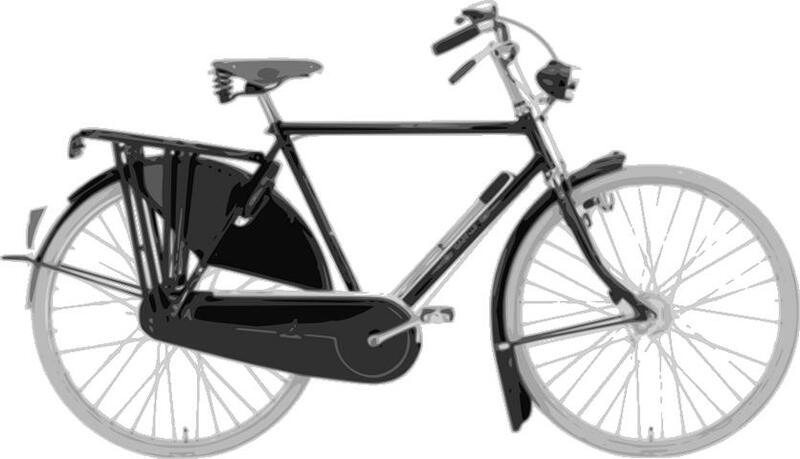 Dutch bikes or Holland bikes are based on an English bicycle, the English roadster. But once imported to the Netherlands in the 1890s, the bikes were called Omafiets, granny bikes, on which the Dutch went to become the cycling nation of the world, famous for riding their utility bicycle every day and everywhere. Hope on and ride, that’s the idea of Dutch bikes, they are ready to go. The Dutch use their bikes instead of cars or public transport; it’s more than just recreational use. It’s for everyday riding. They love to wear their normal clothes while riding. Since the chain is protected by a chain case they don’t need to worry about their leg being greased up. Having also protected almost half of the upper part of the back wheel, the skirt guard, feel free to put on a wide and long dress. Your clothes will be protected from being caught up in the spokes. 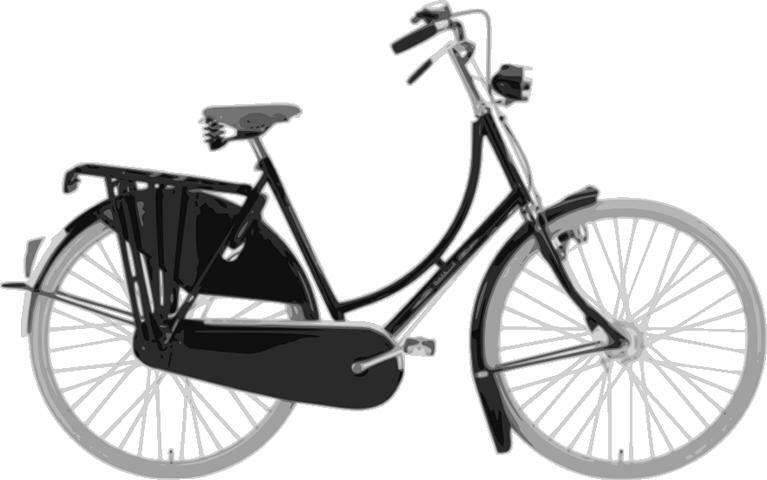 Dutch bikes are comfortable to ride due to a very upright position for the rider, a comfortable seat and wide and curved handlebars. Their steel frames and stainless steel rims are durable and can be ridden everywhere, everyday and in every possible weather condition. Once they reach their destination safe and sound, they slip out the sturdy parking stand and lock up the Dutch bike with the integrated lock. Done. Nowadays Dutch bikes come with internal hub gears which make them even more an everyday bicycle. Sitting inside the hub of the back wheel your gearing system will be protected from rain and dirt and it will always be easy for you to change gears on your handlebars. Mostly they come with 3 or 8 speeds only that are quite light and that will allow you to ride your beloved bike in the flat as well as in hilly surroundings. These days’ Dutch bikes also come with internal hub brakes. The brakes are –like the gearing system– part of the hub, which helps you slow down easily and smoothly. The already attached lights are usually powered by the hubs as well, so there is no dynamo rubbing against your wheels that keeps you from flowing along. Apart from the new technical feature mentioned above, the Dutch bikes are the preserved remains still predominantly found in European and urban surroundings. Made of steel, a bit heavy but durable, they are waiting for you out front of your house, no matter if it’s foggy, cold or rainy. Or just amazingly sunny. Jump on and ride off into the sunset. 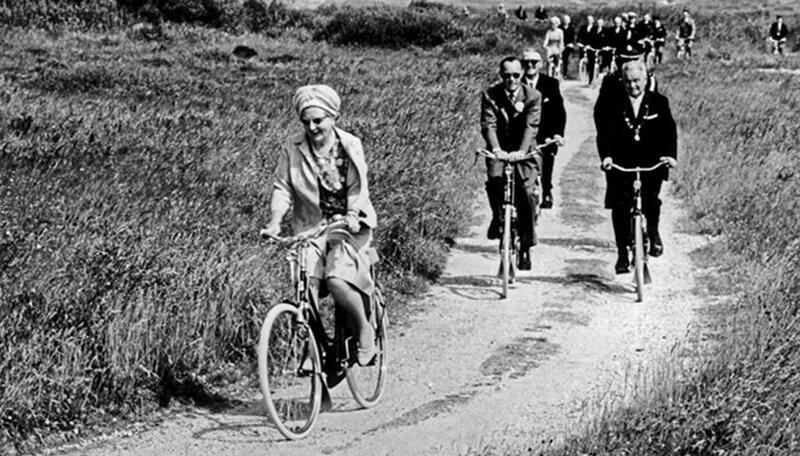 Previous Article← What the hell is a bicycle cruiser?